Just as autumn marks the return of great bass fishing to much of the country, the pre-holiday period also brings with it the most dreaded duty of professional fishermen: sponsor negotiations. Yes, it�s the time of year that major manufacturers finalize their budgets and �pros� at all levels kick and scream to get their share. And while the negotiating challenges can be rewarding, they�re often frustrating for many. Along with the renewed hope of an upcoming season comes new competitors looking for their piece of the pie, as well as advice on how to go about the search. As a 20-year promotional veteran, I keep abreast of the latest news; occasionally offering a little insight of my own. Let�s lay it out on the line, with the unfiltered approach you�d expect here. First off, it�s important to clarify where, as a competitor or promotional figure, you are in this world. Today, we�re going to talk in terms of an individual looking to move in the direction of a career in fishing. Note that such an example is vastly different from someone just trying to cut costs for their hobby. 1. Think as a business owner. Lets say you owned a lawn-care business. For each lawn you cut, you made $10. However, you had a few equipment needs; for instance, you needed to purchase a $50 mower blade. Would you cut 10 lawns at no charge in order to receive a free blade? Of course not. The same applies to fishing. You must separate yourself from the �romanticism� of sponsorships and do some simple, hard math. Often it�s more lucrative to work in the outside world (did someone mention lawn care?) and purchase gear full price than to give away your valuable time in order to receive a marginal discount. Step back. Think. Once you�ve addressed the finances of sponsorship with a realistic view, your next move should again mirror successful small businesses. 2. Determine your best angle based on �customer base�. Here it�s important to provide a product or service that�s the most appealing to potential sponsors. In this case, the fishing industry often fluctuates. 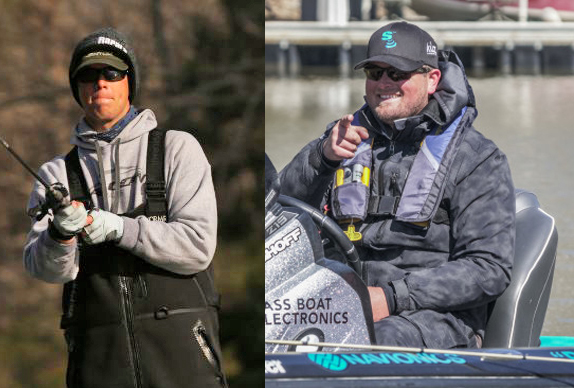 At one time, pro tour anglers played an equal role in promotional budgets as, say, guides, media partners, promotional figures and TV celebrities. More recently, however, they�re worth has gone up substantially. 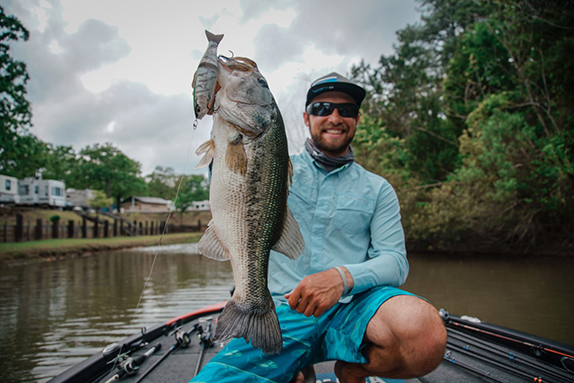 The bass industry now places major importance on achieving celebrity status within the tournament community, so wise newcomers are smart to get on board. Know, however, that such will require an �all-in� commitment, as most potential sponsors have a lot of hungry anglers to pick from. Sadly, the days of independent promotional figures are waning, as the market seems driven strictly by competition, but it�s important to understand such. The remaining checklist will put you ahead from the start. 3. Establish the best relationship possible with the outdoor press. While self-promotion is more available than ever due to social media, a select few individuals still control the bulk of what press reaches fans. It�s important to recognize those media members and be readily available to contribute to their work. Offer to take them in the boat during allowable practice periods. Have a catalog of quality photos you can provide to them for their stories. Return their calls and emails at the earliest time possible. Note how some pros seem to gather so much attention, even though their competitive records may not be as good as the top tier. That�s no accident; they�ve done what it takes to be accessible. 4. Master social media. While all manufacturers recognize the importance of social media, some have been slower to embrace the movement than others. Oftentimes, this aspect of marketing is �farmed out� to savvy PR groups that may, or may not, have any ties to professional bass fishing. In any case, your knowledge of, and presence on, such platforms is invaluable to potential sponsors. Again, using other trades as an example, go into the job knowledgeable of all the tools and let your employer tell you which one to pick up. 5. Expect a slow initial response. Each year at this time, we read of all the newcomers charging onto the scene, ready to �go pro� and get their share. Then, after three or four tournaments, we watch them start to fall off. Sponsors see the same thing. 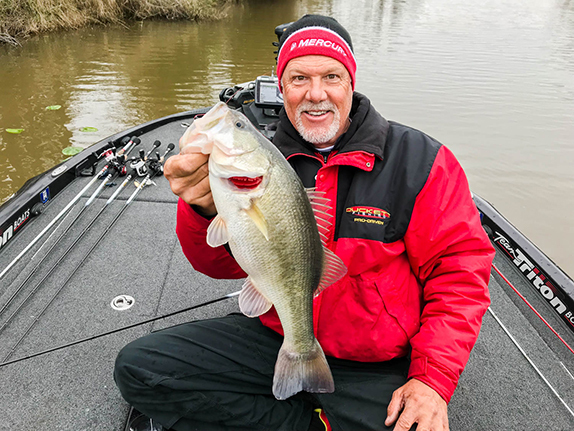 In the world of professional bass fishing, there is no logical reason why a manufacturer should take a risk on a newcomer when established pros are always available. So don�t expect much at first, and know that longevity is one of the greatest r�sum� builders in this field. 6. Think outside the box. Look for sponsors outside the industry. Oftentimes they�re more realistic in terms of expectations vs. payments, and there�s always less competition for your share of the budget. Sometimes it takes a bit of education regarding the size and reach of bass fishing, but the reward can make your career. Plan to meet with these people, in person, numerous times. Keep an open mind and don�t get frustrated when they compare everything and everyone to KVD. So there you have a little updated insight into the way things are in our world today. Good luck negotiating, and stay positive. Remember, it�s still fishing we�re talking about.